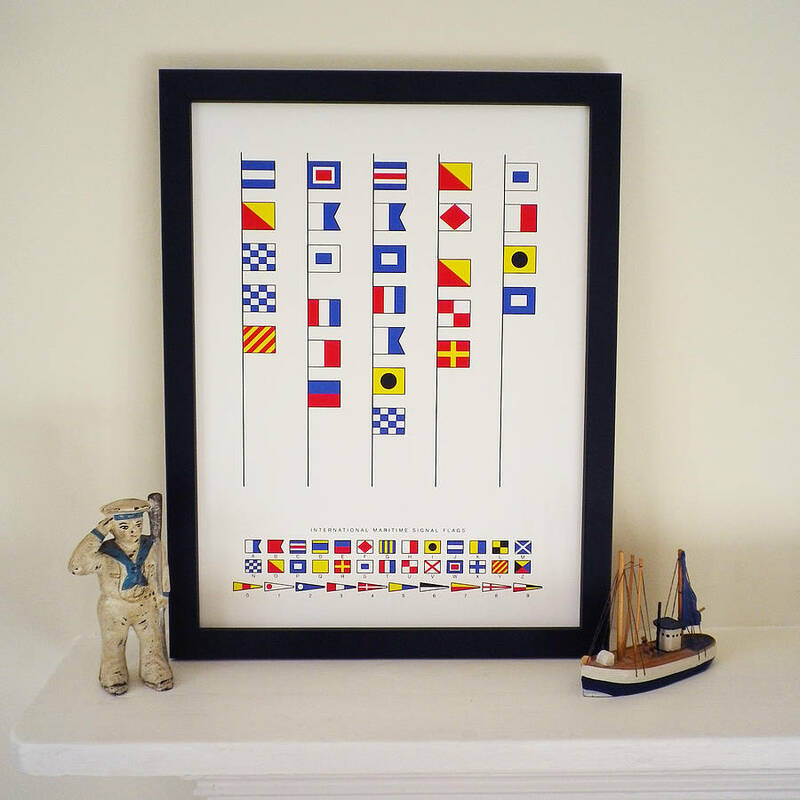 A cryptic message hidden in a decorative personalised naval signal flags print that would be a talking point in the recipients home or office. 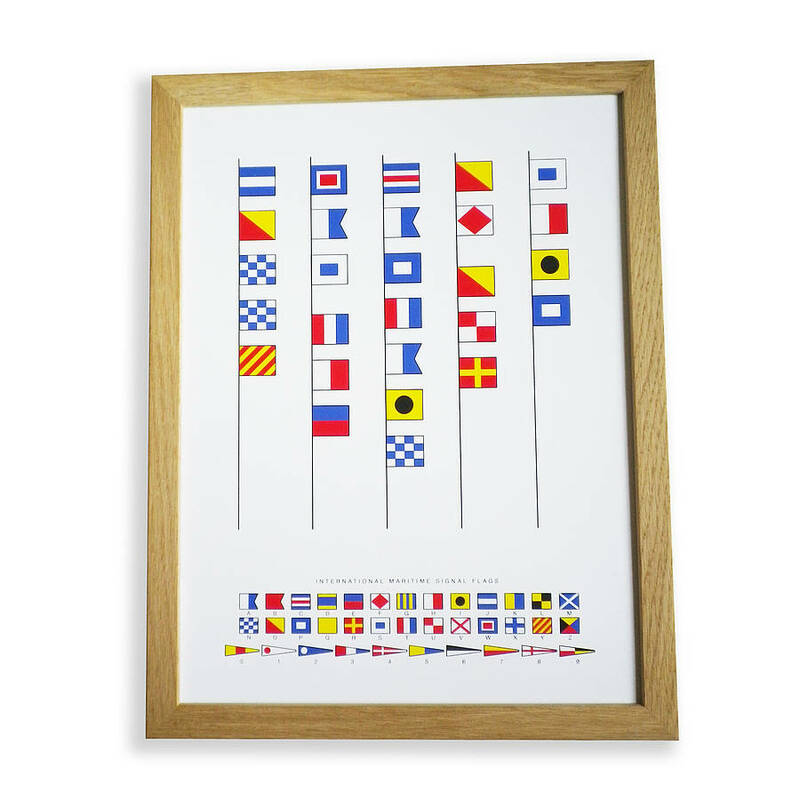 Create your own message to be spelt out in signal flags as an unusual gift for a special occassion. 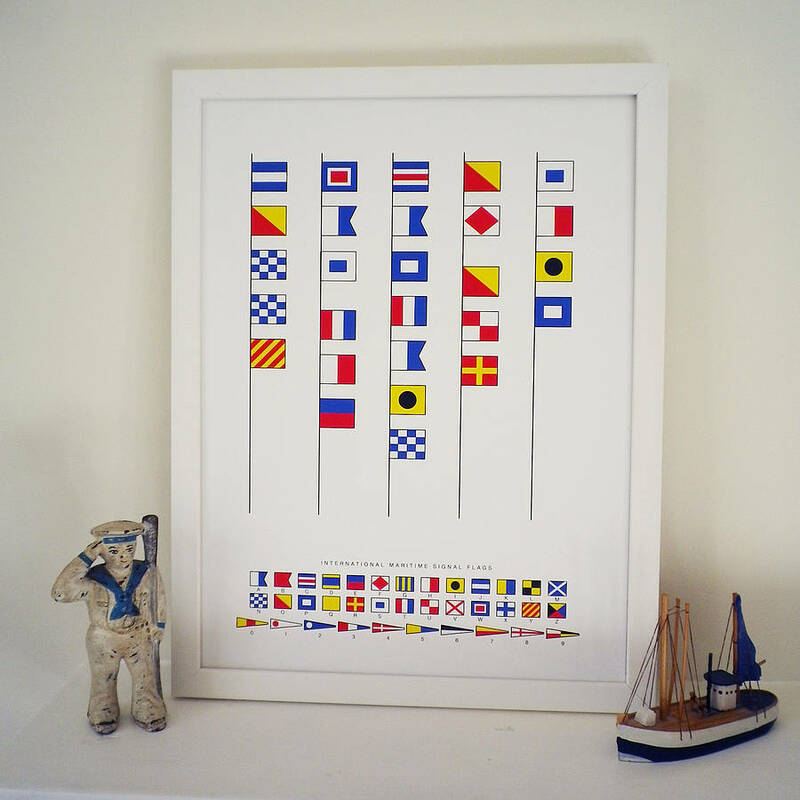 Makes an unusual and decorative gift with a nautical theme for anyone who loves sailing or nautical decorations. 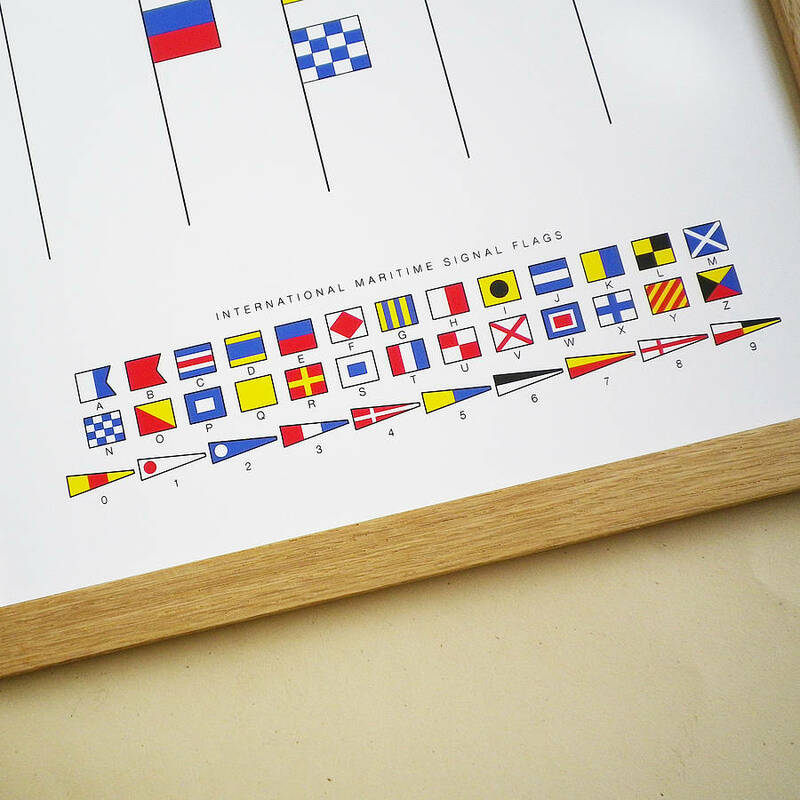 As a company leaving or retirement present, for a birthday, anniversary or as a reward for doing something extra special. There are 5 lines for you to create your own message for any occasion or just for fun - here are some examples. Dates can also be used. "Jonny is the captain of our ship" or "Jonny was the captain of our ship"
"England expects that every man will do his duty" to quote Horatio Nelson's famous message. Maybe change "England" to someone's name or a company name. 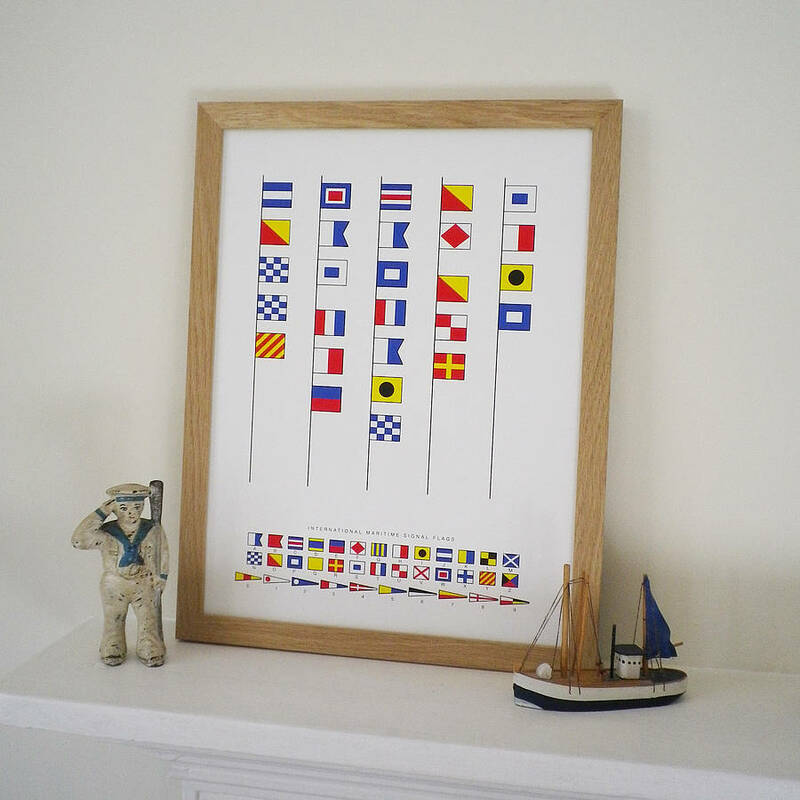 "Mark was Coopers best ever First Mate"
"Wishing you plain sailing in the future from all at Johnsons"
"Stella really was the ships cat"
"Best wishes Jonny from all your crew at Smiths"
Have fun creating your own!! !